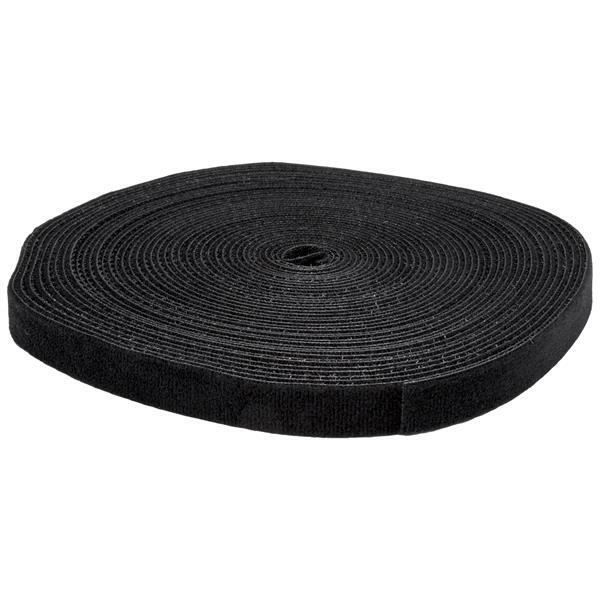 This 50 ft. roll of hook-and-loop cable tie makes it easy to keep your cables neat and tidy by binding them together or binding them to a structure. The self-gripping fabric can be cut to any size and it's 3/4 in. (19 mm) wide which enables a slim wrap-around solution for any computer, appliance or electronics cable, in virtually any environment. The versatility of the cable tie makes the roll the ideal tool for you to keep on hand in your office, server room or industrial environment. 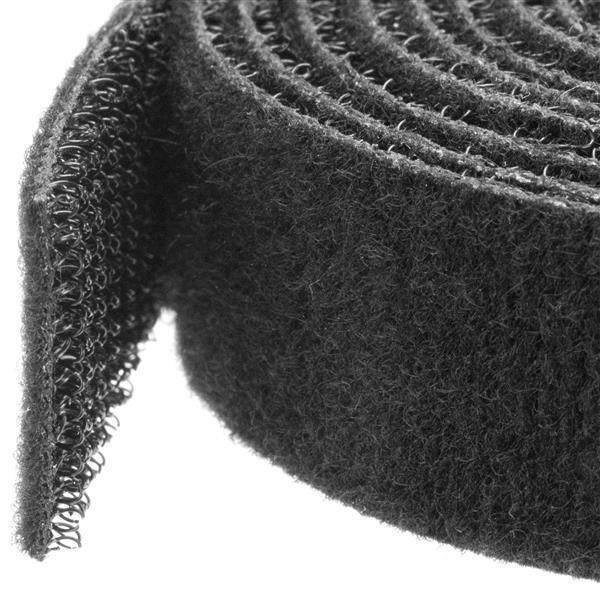 While the most common use for this hook-and-loop fabric is binding and routing cables, you can also use it for other materials in your IT environment such as tools or raceways. The ties are easy to remove, reusable and adjustable, avoiding the hassle and waste of traditional zip ties.